Since the late 2000s, maps have been a staple of the web, and today are more ubiquitous than ever. They have a variety of uses, from complementing a company’s contact page to plotting places of interest across a geographic region. As computing power is becoming more affordable, 3D maps have gained popularity, demonstrating the scale of buildings and the nature of the surrounding terrain, adding a touch of novelty to such experiences, as well as providing practical benefits. Using WRLD’s map designer, we will build a map for a coach holiday, which we will then integrate into a Node.js-powered website. Before we can use WRLD’s map designer, we must register. Sign in once you’ve created and verified your account. Navigate to the Map Designer. This page will list any maps that you have created, as well as allowing you to create new ones. Click on Create Map to launch the designer. Together, we’re going to create a map for a Dundee food tour. 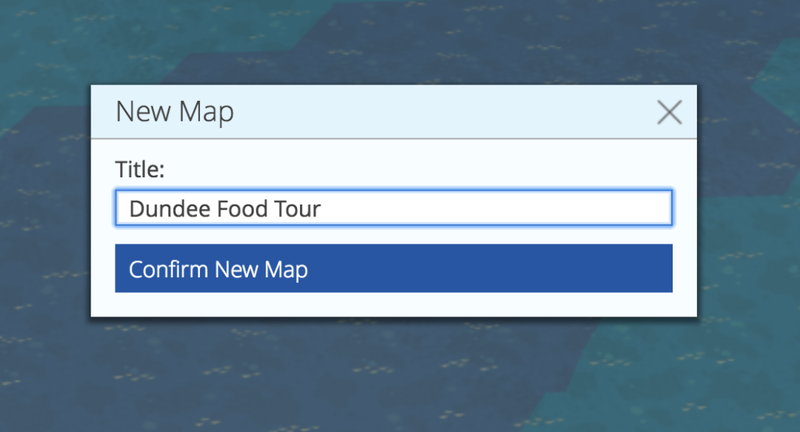 Click New Map on the left and in the resultant New Map modal, enter a title of Dundee Food Tour and then hit Confirm New Map. Now that we’ve created our map, we need to choose a starting location. 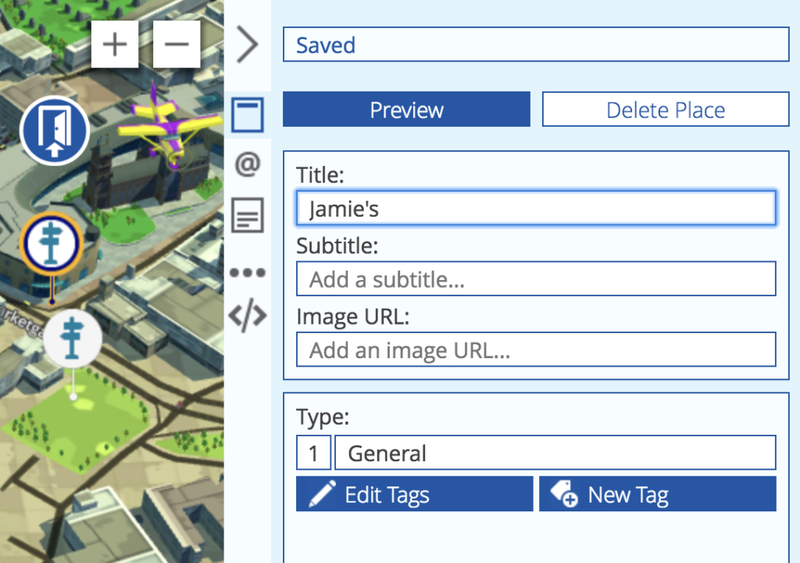 Click the menu button next to the search input, click Locations, and choose Dundee. 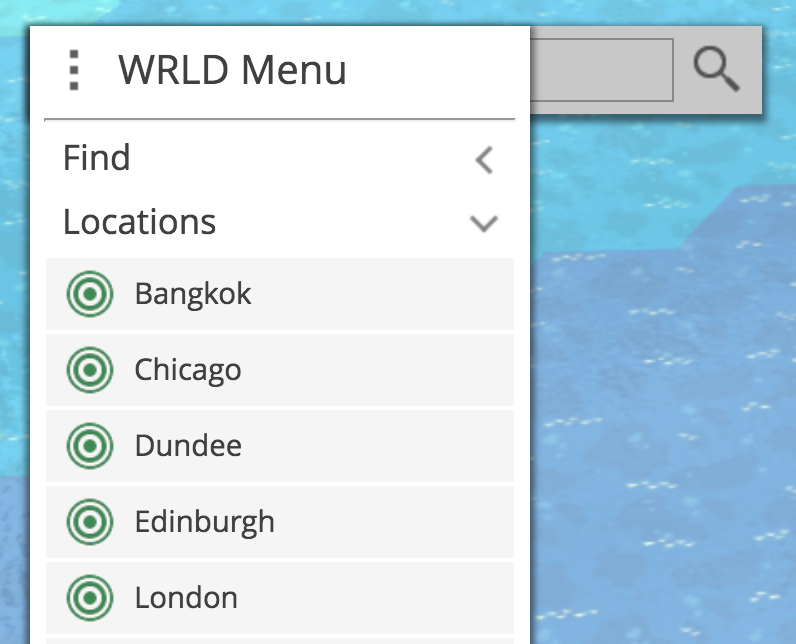 To add locations to our map, we have to use WRLD’s Places Designer, which facilitates the creation of place sets that can then be imported and reused. On the right, click the place marker icon, followed by Manage Place Collections. This will open the designer at the same geographical location. Let’s add our first places collection by clicking New Places Collection. 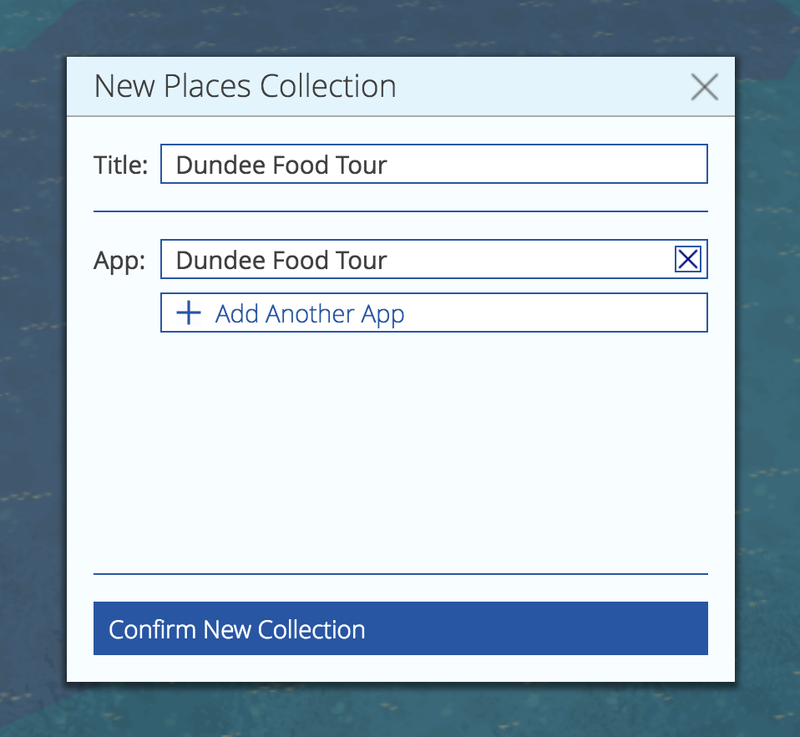 Set the title to Dundee Food Tour and then add a reference to our Dundee Food Tour app, which will link the places collection with our map. Finalise this with Confirm New Collection. Click New Place Marker next to the search box. A marker should appear on the Dundee Food Tour building, but it can be dragged into place if necessary. In the pane on the right, enter a title of Dundee Food Tour — this will save automatically. Add as many places as you’d like following this approach, and return to the Map Designer once you feel that you have enough. Our new collection should have been detected and automatically included in our map, but we can configure this manually by clicking the places marker on the right and selecting our place set. Before we display the map on our website, we should set a starting point. 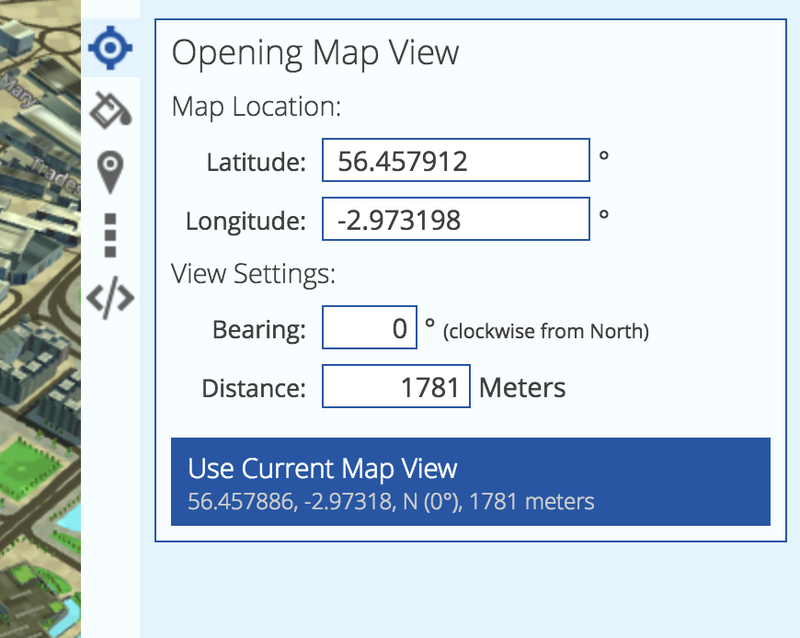 Drag and zoom the map until you’ve found an optimal view, then, using the crosshair icon on the right, open the Opening Map View form and click Use Current Map View. Despite the impressively-detailed 3D modelling provided by WRLD, the real power of this platform is the ability to embed maps into websites and other applications. As well as exposing a variety of HTTP APIs for directly querying data, there are libraries for rendering maps on many platforms, including iOS, Android, and the web. We will use the wrld.js library, which is also available on npm. To verify that the project works as expected, run npm run watch; this will start the project using nodemon, restarting automatically when any changes are made. Upon opening http://localhost:8001/trips in your browser, you should see a list of trips with a sole item. Our application will consume data from two of WRLD’s HTTP APIs, which are protected by developer tokens. To acquire your token, sign in and head over to the My Account section, and click the Developer Token tab; make sure you copy it. In our app’s codebase, open config.json in the server directory, and paste your token as the value of devToken; this property will be used to make the aforementioned API calls covered in the next step. "devToken": "insert your dev token here"
Open the project in your editor, and head to the trips.json file in the server directory. This is a hash map of all of the available trips listed on our website, keyed by a hyphen-separated slug. These are accessible via the /trips route, so we can reach the Dundee Food Tour via /trips/dundee-food-tour. 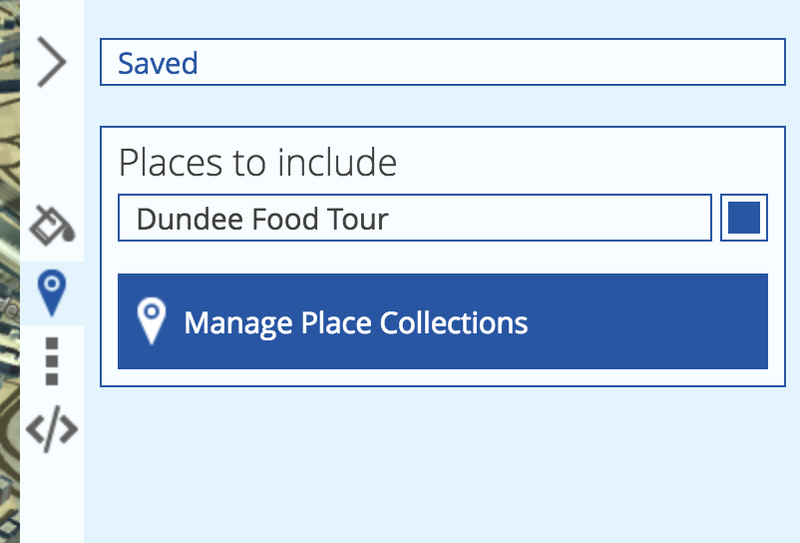 You’ll notice that the entry for the Dundee Food Tour has two empty properties, mapSceneId and poiSetId. We will return to this shortly. We can then take the id properties and pass them to our own local endpoints e.g. http://localhost:8001/api/mapscenes/10786 and http://localhost:8001/api/pois/4149. If we have implemented these routes correctly, then we should receive data from the WRLD APIs. We’re now ready to plot the API data onto a browser-rendered map. Let’s return to the TripView.js file. Using wrld.js, which we have imported into this file as wrld, we are rendering our map into a HTMLDivElement with a class of .map-container, passing the API key and the map data returned by our /api/mapscene endpoint. If you open the Dundee Food Tour trip page in your browser (i.e. http://localhost:8001/trips/dundee-food-tour,) you should see our map with the expected opening view. Here, we are taking the raw point data returned by the /api/pois endpoint and mapping them into map markers, transforming them as required for the wrld.popup method. Upon reloading the page in the browser, we’ll observe that the points have been added to our map, accompanied by the name of each place. James is a full-stack software developer at YLD who has a passion for web technologies. He is currently working with a variety of languages, and has engineered solutions for the likes of Sky, Channel 4, Trainline, and NET-A-PORTER.